NEW YORK (September 16, 2015) – Adding monthly membership options to bike share pricing plans may increase bike share enrollment, especially among low-income potential riders, new research from NACTO finds. 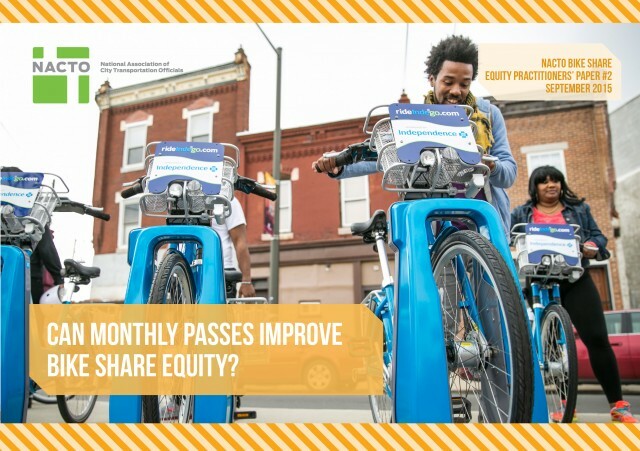 NACTO’s second Equity Practitioners’ Paper, Can Monthly Passes Improve Bike Share Equity, uses research from comparable industries, findings from focus groups, and reports from outreach ambassadors to explore the impact of bike share pricing structures on sign-up rates. As cities continue to look for ways to better engage low-income potential riders, adding monthly membership options which offer greater financial flexibility and reduce “sticker shock” should be considered. For more information about NACTO’s Bike Share Program, contact Kate Fillin-Yeh, Bike Share Program Director, at [email protected].